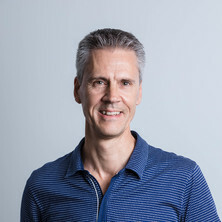 Professor Jason Mattingley was appointed as Foundation Chair in Cognitive Neuroscience at the University of Queensland in January 2007, a joint appointment between the Queensland Brain Institute and the School of Psychology. Upon returning to Australia Professor Mattingley was appointed as Senior Research Fellow (later Principal Research Fellow) at the University of Melbourne, where he was Director of the Cognitive Neuroscience Laboratory within the School of Behavioural Science (2000 – 2006). Professor Mattingley has won numerous accolades for his research, including an Australian Laureate Fellowship from the Australian Research Council (2012), the Distinguished Contribution to Psychological Science Award from the Australian Psychological Society (2012), and the Monash University Distinguished Alumni Award (Faculty of Biomedical and Psychological Sciences, 2016). He was elected a Fellow of the Academy of Social Sciences in Australia in 2007, and a Fellow of the Association for Psychological Science in 2016. Taking a closer look at visual search: just how feature-agnostic is singleton detection mode? Short-term memory maintenance of object locations during active navigation: Which working memory subsystem Is essential? Do angry men get noticed? Do synaesthetic colours act as unique features in visual search? Does selective attention influence the octave illusion? Are object- and space-based attentional biases both important to free-viewing perceptual asymmetries? Attenuation of perceptual asymmetries in patients with early-onset schizophrenia: Evidence in favour of reduced hemispheric differentiation in schizophrenia? The octave illusion revisited: Suppression or fusion between ears? Visuomotor Adaptation to Optical Prisms: A New Cure for Spatial Neglect? Allodynia: a sensory analogue of motor mirror neurons in a hyperaesthetic patient reporting instantaneous discomfort to another's perceived sudden minor injury? Pathological completion: The blind leading the mind? Investigations of automatic binding of colour and form in synaesthesia. Capacity limitations in the detection and identification of change in visual arrays. Preserved cross-modal attentional links in the absence of conscious vision: Evidence from patients with primary visual cortex lesions. Do ongoing cognitive demands affect the efficacy of transcranial electrical brain stimulation in young and older healthy adults? Charles Bonnet Syndrome: an investigation into the mechanisms underlying the development of visual hallucinations in acquired visual loss. Is plasticity in the human motor cortices altered in healthy older adults?